Egg protein powder is made from dehydrated pasteurized egg whites which are processed into a fine powder. Egg protein powders have a rich amino acid makeup, are considered a high quality protein source, and are typically easier to digest than other major protein sources such as beef, casein, and whey. 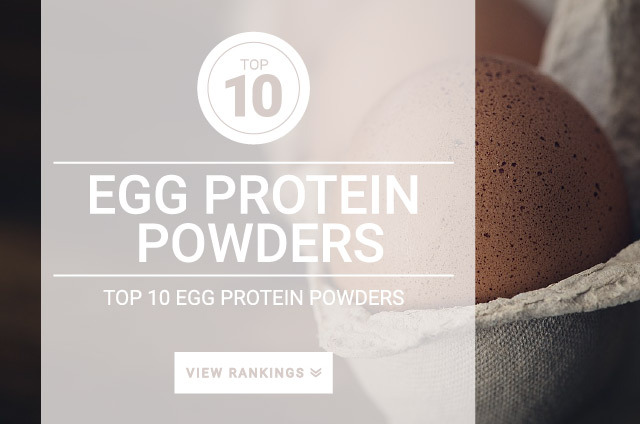 Egg protein powders have a slower absorption rate when compared to other popular proteins. Slower absorbed protein helps to prolong the muscle protein synthesis window, increases protein anabolism, and prevents muscle protein breakdown. Adding egg protein powder into your diet regimen is deemed to be the most optimal approach for lean muscle growth. Research shows that consuming a slow release protein such as eggs after a workout is optimal for lean body muscle mass gains. Research shows that protein is the building block of lean muscle and is necessary for muscle growth and muscle repair. Without adequate amounts of protein you could suffer from fatigue, strength loss, weight loss, and muscle soreness. Adding egg protein powder into your diet is considered to be most optimal for lean muscle growth during periods of both short and prolong training regimes. Consuming egg protein powder can provide up to 25 g of protein or more per serving with minimal calories and fat. Consuming 25 grams of egg protein is equivalent to eating 7 egg whites. Research shows that consuming egg protein post-workout can help your body absorb protein more effectively. Overall, supplementing egg protein powder can help prevent muscle fatigue, improve strength, improve workout performance, reduce post workout muscle soreness, and define and build lean muscle mass. Egg protein powder provides all 9 essential amino acids (EAA) as well as 9 non-essential amino acids. Eggs have a higher Protein Efficiency Ration than other major protein sources such as beef, casein, and whey. For males looking to improve strength, power, and lean muscle gains, 1.1 g – 1.5 grams of protein per pound of body weight. For female strength, powder, and lean muscle building, 1.1 g – 1 .4 grams of protein per pound of body weight. For general male health – 0.7 grams – 1.0 grams of protein per pound of body weight. For general female health – 0.6 grams – 0.9 grams of protein per pound of body weight.